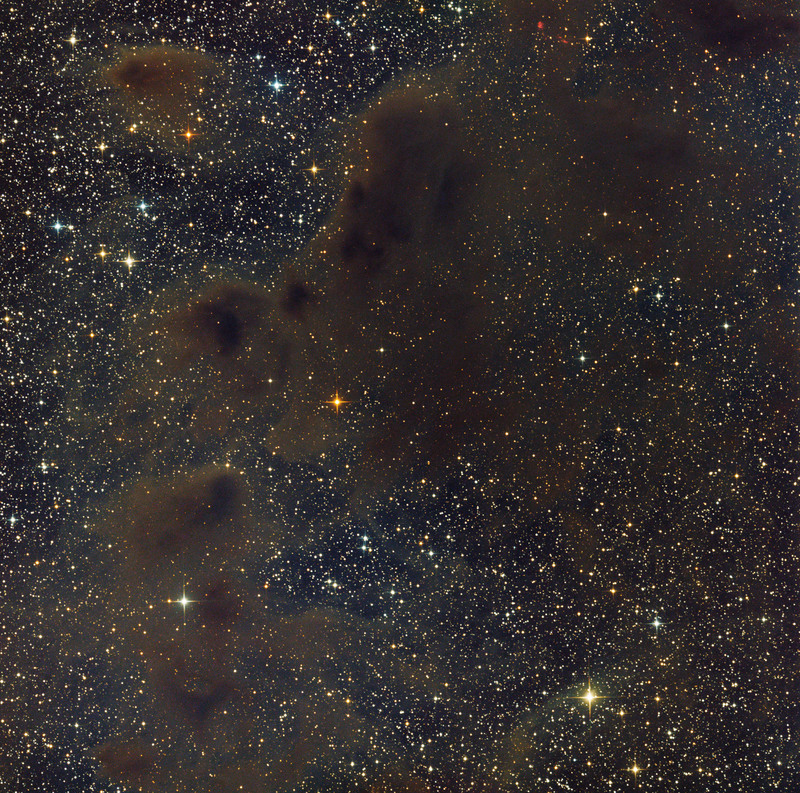 This dark clouds are designated as HMSTG 483 and belong to the so called Cameleon Molecular Cloud. The HMSTG is a catalogue of 1101 dark clouds and has been compiled from visual inspection of ESO/SERC Southern J survey plates for declinations south of -33°. It was published by M.Hartley, R.N.Manchester, R.M. Smith, S. B.Tritton and W.M.Goss in 1986 andcomplements that of Lynds (1962) which is based on the Palomar Sky Survey. Equatorial positions of accuracy 10 arcsec or better are listed for each cloud along with size (major axis × minor axis), density class and ESO/SERC field number. Galactic coordinates, derived from the equatorial positions, are used to define a name for each cloud. Complexes, consisting of several separately identifiable concentrations, are listed and identified by a trailing C on the name. The conclusions of Lynds, that clouds are concentrated along the galactic equator and toward the galactic centre, are reinforced.